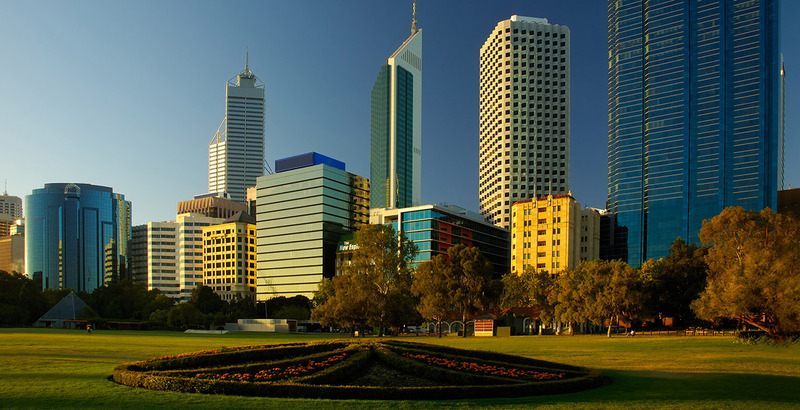 Perth has a Mediterranean climate and is located in one of only five Mediterranean climate zones in the world. This means that for most of the year, the Perth weather is fine and sunny, and even during the short mild winter, the sun is often shining. It is because of these endless summers that many Perth activities revolve around the outdoors. So if you enjoy sight-seeing, outdoor activities, warm sunny days, or lazing on clean sandy beaches, Perth is the perfect destination for your next holiday. Note that Perth weather is recorded and forecast in degrees Celsius. Spring begins in September in Perth, and from this time on, the weather quickly warms to fine sunny conditions for the many months ahead. For the most part, spring is sunny and warm, especially from October and November, and the weather is generally pleasant and rain is usually minimal or absent. The official start of summer in Perth is December, finishing three months later at the end of February. The weather is warm to hot over the summer months, although the hottest months are usually January and February. The weather is usually dry, and rain at this time of year is very unusual. Perth also enjoys a refreshing afternoon sea breeze known as the Fremantle Doctor, which brings welcome relief on hot days. Autumn begins in March and finishes at the end of May, although autumn in Perth is not typical of autumn’s most people would be familiar with. Autumn in Perth is like an extension of summer, or perhaps a second spring. With warm sunny days and cooler nights, there is still plenty of sunshine left before the onset of winter. Although the Perth weather is still mostly fine, there may be an occasional shower or humidity. The mild Perth winter begins at the start of June and finishes at the end of August. It is generally a rainy season, mingled with cool sunny days. There are however occasional storms, characterised by downpours of rain, lightning and thunder. Perth climate contributes to tourism in the region in the best way. For first-time visitors, it might be better to come to Perth in summer. But even if you happen to be here in winter, Perth weather is nice for long beach walks and the variety of other things to do in Perth.